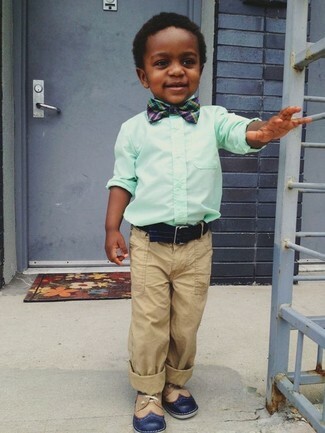 People will swoon over your little man if he wears this combo of a mint long sleeve shirt and an Armani Junior toddlers logo bow tie. This getup is complemented nicely with navy oxford shoes. 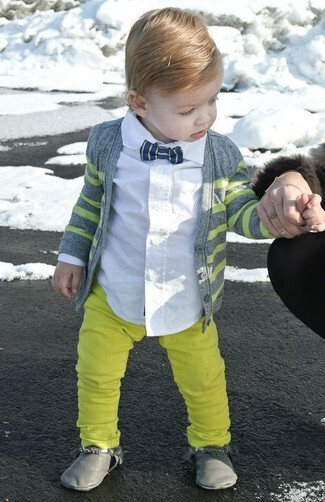 Suggest that your boy dress in a grey cardigan and a navy bow-tie for a comfy outfit. As for footwear your boy will love grey boots for this getup. 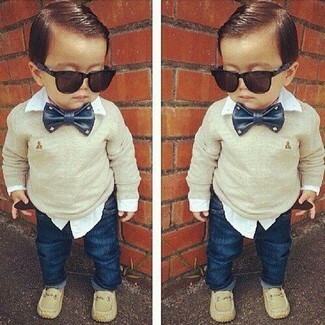 Suggest that your son choose a beige sweater and an Armani Junior toddlers logo bow tie for a fun day in the park. This look is complemented really well with beige loafers. 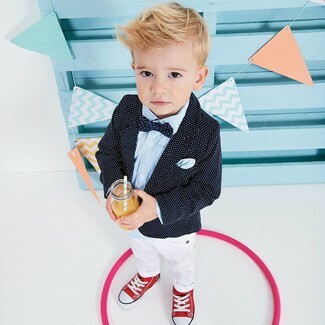 Suggest that your munchkin team a grey cardigan with an Armani Junior toddlers logo bow tie from Saks Fifth Avenue for a comfy outfit. And why not add grey desert boots to the mix? Your boy will look uber cute in a black polka dot blazer and an Armani Junior toddlers logo bow tie. 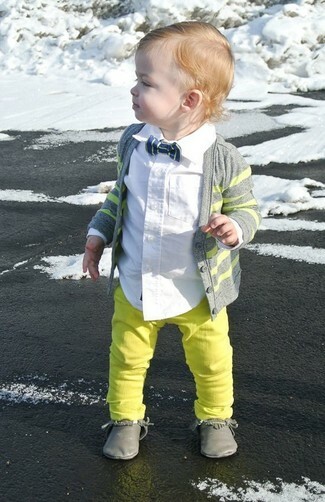 As for footwear your kid will love red sneakers for this look.